We decide to make in two weeks or so whole pack with repaints for our Bird Dog. Around 10-15 repaints installed by click on exe, so you need not to unzip, copy, change cfg etc. So please post your ideas here. Interesting, colorful, historical and Russian (lol) are most welcome. Sorry in a credit if we'll not do some exact one, but if the idea will have success we'll do second, third such pack. Re: What repaint would you like to have ? Hello Andrey.I would like to see a repaint of the O-1 float,bear metal.with american reg no.For good ol bush flying.Also tail dragger.version also.Chet TwoWolves. 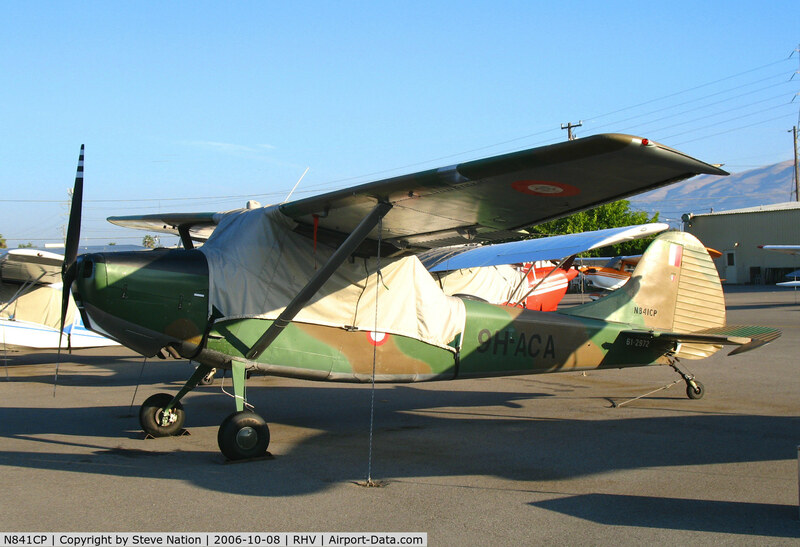 chet two wolves wrote: Hello Andrey.I would like to see a repaint of the O-1 float,bear metal.with american reg no.For good ol bush flying.Also tail dragger.version also.Chet TwoWolves. I am doing at the moment the N51446 on floats and wheels in "old-dirty-used"-style. When it's finished I'll post a download link. Last edited by will_b on 29 Dec 2009, 18:56, edited 1 time in total. The Thai air force looks very good.. Thank you for kind words guys. Many thank's for one of the best FSX Aircraft tovarich ! I would like a US Army paint...in all models. Ideally using the pilot from the USAF BD wearing helmet in all...if possible. Also having a OD panel...not blue. The Army had many more of these than the AF. Actually, the AF got theirs from the Army. What repaint would you like to have? In spite of the fact that they flew the Charlie and some hand-me-down USAF Golf models, a nice O-1F repaint of a Marine Vietnam-era VMO-6 Bird Dog would be a welcomed addition. Please see several photos at the IBDA link below. These birds were "USMC green", with the distinctive "candy strip" rudder. The top of the wings and the horizonial stabalizer were painted white for better visibilty by the fast movers. VMO-6 arrived in Vietnam in September 1965 as a UH-1E helicopter squardon. In October 1967 the squadron moved from Chu Lia to just south of Hue at the Phu Bai airfield. A month later another move took them to Quang Tri Air Base. July 1968 saw the squadron get its first fixed wing aircraft since World War II when they took possession of a few Cessna O1C Bird Dogs that were used for directing air strikes. These were followed in October 1968 when the first contingent of six OV-10A Broncos joined VMO-6 at Marble Mountain Air Facility. I have, in the past, flown a real Bird Dog in an airshow. The Bird Dog I flew was N841CP; a ex: Malta Air Force Cessna O-1E Bird Dog. In the beginning it started off in the Italian Air Force as a observation aircraft. Later on around 5 or more Bird Dogs, including N841CP, were sold to Malta. It served in Malta for a number of years as 9H-ACA. Towards the end of the 1990s all L-19s were sold to the public and replaced with the S.A. Bulldog. It was bought a number of years ago from a man I know in California. I believe N841CP (9H-ACA) and N119AJ ( 9H-ACD) are the only Malta Air Force Cessna O-1E's in the United States. If someone can make this paint scheme it would make my day. I too would like to see 9H-ACA or something of that nature from the Armed Forces of Malta. I would like one with right flight-dynamic, among with other bugs. 3d Aviation Bn, 3d Infantry Division (The Rock of the Marne), US Army, circa 1964-67, as based at Harvey Barracks, Kitzingen am Main, GFR. A repaint for the canadian air cadets for be awesome! Looks great and I have decided to create it. Check my other repaints of Birddog there as well. Thank you Magnus! I look forward to it. Your repaints are excellent. But it will be made and hopefully mid next week.